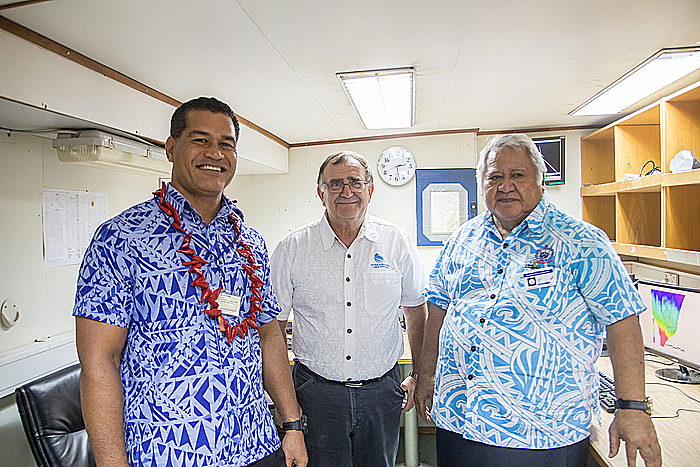 The marine survey ahead of the Tui Samoa Cable has officially concluded. Yesterday, Prime Minister Tuilaepa Aiono Sailele Malielegaoi and the Minister of Communication, Information and Technology, Afamasaga Rico Tupa’i as well as Samoa Submarine Cable Company Chairman, Fia’ailetoa Pepe Christian Fruean and stakeholders boarded the survey ship, Geo Explorer, docked at Matautu Wharf. 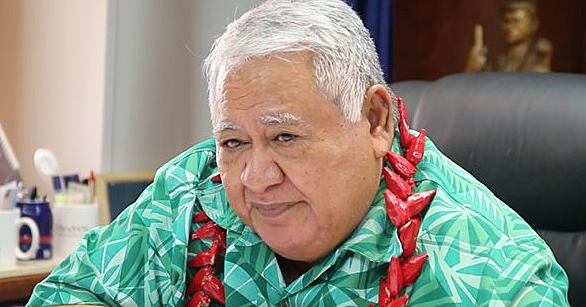 Samoa Submarine Cable Company Chairman, Fia’ailetoa Pepe Christian Fruean said, “ This is a culmination of about six weeks of work. It started in Fiji, went east and the Wallis and Futuna and then Tuasivi, Savaii and now the landing spot here. Surveying the ocean floor is crucial to devise a pathway for the cable to ensure that it will not be damaged. The survey also helps map the best pathway as to not disrupt the fragile system in the ocean. The S.S.C.C. Rep on board Jean Louis Lamy, noted the importance of finding a clear pathway so as to not disturb the environment down below. 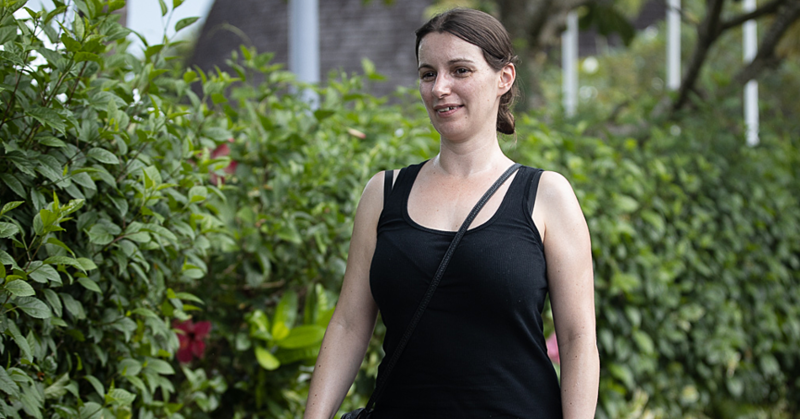 “It’s quite (eco) friendly to be honest,” Mr. Lamy told the Samoa Observer. According to Mr. Lamy, living organisms will adapt to the cable. “Even after a certain time, the coral will grow over and integrate with the cable if the cable doesn’t move. If it moves, it will cause some damage, but most of the time it doesn’t move because it is heavy,” he said. “The purpose of this survey is to scan the sea floor to determine the most feasible route. That work is completed and they will take this technical data and input this supplier, Acatel Submarine Networks, and they will make the final plan for the layout,“ Fia’ailetoa added. The Samoa Submarine Cable Company is targeting mid December for the cable to be up and running. 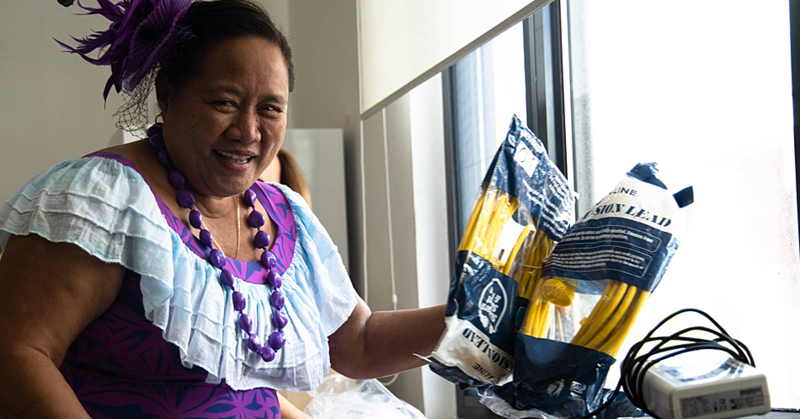 The Chairman said, “We’re expecting the boat that is to lay the cable will arrive in September and it will start in Suva and then commence the laying to Samoa. We expect the ship to be in our waters by the middle of November, after which, we will start the testing. “There’s also comprehensive testing which means that they will actually be using it under a testing environment with the expectation of December when it will actually be on. We’re trying to improve the dates so that we have the benefits before Christmas so that our people will have faster affordable internet,” he concluded.